UK Alpaca’s Ribbed Socks are ideal for town or country, lighter in weight than the walking socks but still beautifully warm and hard wearing. 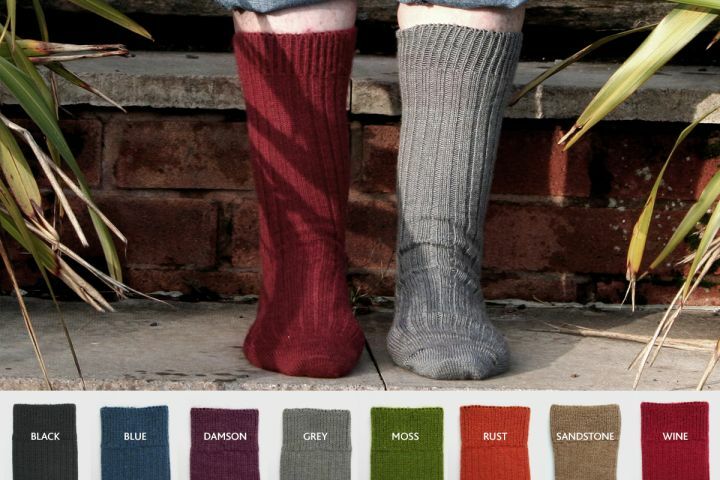 These unisex alpaca socks are made from 80% British alpaca and 20% nylon. The alpaca yarn is manufactured in the north of England from the fleeces of alpacas farmed in Britain and the socks are knitted in Bradford. Natural alpaca fibre is breathable, anti-bacterial with good wicking properties that ensure comfy, warm, dry and odour free feet. For best results hand wash or use a low temperature wool machine wash.